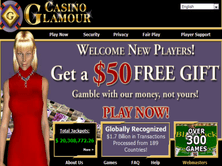 Glamour Casino, which is owned and managed by the Ultra Internet Media, focuses on being classy while giving the best experience for its customers. This gaming site has been established in 1997 and licensed under the jurisdiction of Gibraltar. The gaming site is powered by the Grand Virtual software provider. Only few casinos are using Grand Virtual, thus, players will surely get unique finds in this site such as Casino Solitaire, Bonus Flush, One Eyed Jack, Aces and 8s, and Ro Sham Bo. Of course, the traditional and common ones like Blackjack, Jacks or Better, Deuces Wild, and Video Poker are also displayed for gaming. The said software provider is known for its specialization in slots. Slot fanatics will absolutely enjoy the games in the site. 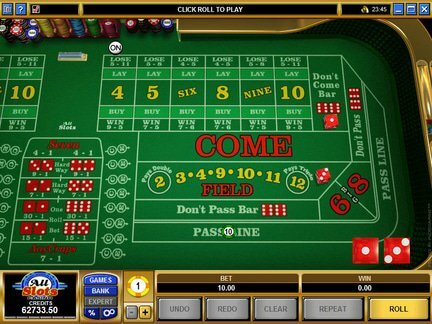 Game Show and Tops and Bottoms are just two of the most fancied versions of slots in this gaming site. From mechanical to video slots, name it and Glamour probably has it. To start playing, users must download first the software installer. The site does not offer instant play so the download is really necessary. On a positive note, the site can be installed in different languages including Chinese, Danish, Dutch, English, German, Italian, Japanese, Korean, Norwegian, Portuguese, Spanish, Swedish, French, and Greek.